How will you settle my child when they start at nursery? Settling in is a crucial period for a young child and it has repercussions for the rest of their lives and on their ability to form long-lasting relationships. This is why we use great sensitivity and care and the subsequent benefits are huge. We ask parents or carers to stay for the child’s first session and continue to do so for as long as the child and parent feel the need. Some children settle immediately whilst others need weeks or possibly longer. It is vital that we work together to accommodate individual needs to ensure the transition from home to nursery is a happy and smooth one. 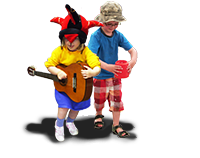 We have designed an optional uniform that is bright, practical and easy for children to manage themselves. They are ‘work-a-day’ clothes that eliminate any concerns about what to wear – and avoid spoiling best clothes! However, any comfortable, practical clothing is fine – just remember that children are encouraged to dress and undress themselves if required so please avoid clothing with complicated buttons or zips that might cause your child difficulty when using the toilet, for instance. Uniforms can be purchased through the office. All clothing should be clearly labelled – including coats, hats and scarves. Please ensure bags are also labelled and taken home at the end of each session. How will you let me know what’s going on in nursery? There is a white board in the entrance hall where we write requests for help with specific projects as well as notices and messages for parents. There are display boards giving information on staff and the weekly planning sheets will be pinned up here so you can read about what your child is taking part in that week. The centre also produces a termly newsletter with news, dates for your diaries, reminders, and information about the centre. These are distributed in children’s drawers in Nursery School and handed out to parent s in Nurture Nursery. If you would like to receive up-to-the-minute news and information about the centre, click here to join our e-mailing list. Does it matter who I send to collect my child? For security reasons we will not allow your child to be taken home by anybody else unless you have notified us and given your permission in person or by telephone. Please note that this includes being collected by mums of other pupils and by grandparents! We understand that you may not always know well in advance, but please give us a call to let us know if your circumstances change. We have these measures in place for the protection of your children. If for any reason you need your child brought out of the nursery (for instance if you have a sleeping baby in the car!) please ask a parent to notify a member of staff and they will bring your child out to you if at all possible. At all times our staff act in the best interests of the children. If a child does have an accident our qualified First Aider will handle the situation. We will keep a record of all accidents and inform you either immediately or when you collect your child at the end of the session depending on the severity of the incident. There is a detailed Health & Safety Policy document in the office that can be viewed on request. As with all Local Authority primary schools and nurseries, the centre has no personal accident insurance for pupils, so cover would need to arranged personally if you feel it is required. What should I do if my child is ill or absent? If your child is ill or will be absent for any reason, please inform the office as soon as possible. There is a holiday form in the office that needs to be completed if you plan to take your child out of nursery during term time. We need to be made aware of infectious diseases such as chicken pox and rubella/German measles so that we can notify other parents of the risk their child may have been in contact with the disease. If your child has an upset stomach or sickness, please leave a full 24 hours from the last symptoms before returning to nursery to avoid passing on to other children. What if I am unexpectedly late for collecting my child? Unexpected events sometimes happen and children are late being collected. Should you be running late for any reason, please call the office on 01926 853 394 as soon as you can so that we can pass on a message to your child to explain and reassure them that arrangements have been made for their collection. Can my child bring their own toys to nursery? Please do not allow children to bring their own toys and games. Personal belongings often cause unnecessary conflict and upset so it is best to leave them at home – where they will be waiting for the child when they finish nursery. If your child has a particular attachment to a soft toy or comforter, for example, that would cause distress to leave at home, please let us know so we can help. 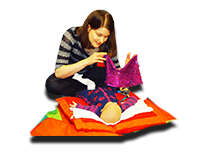 Special belongings may be kept in your child’s bag – or you can ask us to keep it in the office during sessions. Please be aware, however, that if it comes into the nursery there is always a risk that it may be lost or accidentally ‘rehomed’. Please let us know as soon as possible if your circumstances change for any reason so we can ensure all our contact information is up to date, and can help your child through any changes in their life. This includes moving house, changing emergency contact details, new mobile phone numbers and so on. It also helps us to support your child if you inform us of any changes to personal circumstances that could be affecting them, such as a death in the family or parental separation. Anything you tell us is, of course, confidential and only shared with relevant staff. What are the nursery’s expectations of behaviour? We expect the children to show respect for adults and one another, be kind and thoughtful to others and to resolve disagreements by talking to each other. The staff play a very important role in the teaching of how to achieve these expectations – and act as role models themselves by handling any incidents quietly, calmly and positively. We make every effort to reward and encourage good behaviour through praise and acknowledgment to promote positive behavioural attitudes. What if the centre has to close unexpectedly? In the event of an emergency that causes the centre to close unexpectedly we use the Warwickshire County Council’s school closure text alert service to notify parents. 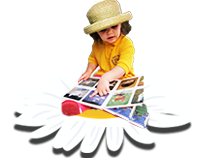 You can use this service for any Local Authority school or nursery and need to subscribe to the service each academic year. To sign up for this free service, visit www.warwickshire.gov.uk/schoolclosures.